There are currently no Long Beach Long Beach, NY notable alumni listed. Be the first to add an LBHS famous alumni. Create a Long Beach High School Long Beach, NY memorial for an individual alum that has passed away. There are currently no memorials for Long Beach Long Beach, NY alumni. The Long Beach alumni site is made so that students and teachers from the Long Beach high school can reconnect with those that they met while attending high school. 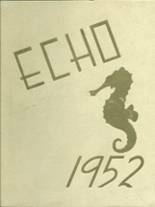 You can share memories of those activities that you were involved with at Long Beach HS and you can view other alumni and read what other former students have posted about the time they spent at Long Beach. Long Beach High School alumni can relive their experiences from high school by sharing memories and pictures, reconnecting with those alumni listed, and more. Gustav Elijah has someone searching for them. Donna Nielsen has someone searching for them. Tomika Bullock added photos to their personal photo gallery. Tomika Bullock updated their profile picture. Tomika Bullock registered as a LBHS alumni. Ken Wurman updated his profile picture. Ken Wurman added photos to their personal photo gallery. Ken Wurman registered as a LBHS Class of 1970 alumni. Denise Chero Daniels updated her profile. 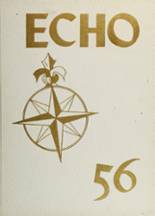 Denise Chero Daniels requested a LBHS yearbook from 1969. Gail Mendel Razler added photos to their personal photo gallery. 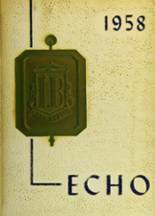 Gail Mendel Razler requested a LBHS yearbook from 1981. Hayden Fonner registered as a LBHS alumni. Hayden Fonner updated their profile picture. Hayden Fonner added photos to their personal photo gallery. Erin McDermott DeSimone added photos to their personal photo gallery. Erin McDermott DeSimone registered as a LBHS Class of 2002 alumni. Erin McDermott DeSimone updated her profile picture. Cheri Gould Dawson updated their profile picture. Cheri Gould Dawson added photos to their personal photo gallery. Cheri Gould Dawson registered as a LBHS Class of 1965 alumni. Fred Cohen updated their profile. Fred Cohen added photos to their personal photo gallery.